You’re about to be duped into thinking a pro-police ride-along is just that: pro-police. In case you missed it, RWJBarnabas Healthcare executive Michellene Davis recently made a racially charged, anti-police statement on Facebook depicting cops as racist killers. 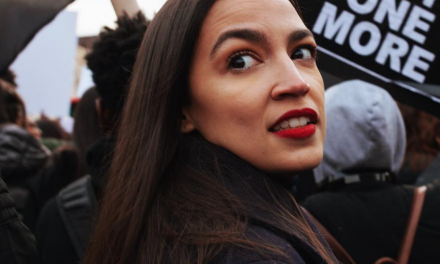 After her company investigated, she was allowed to keep her job. 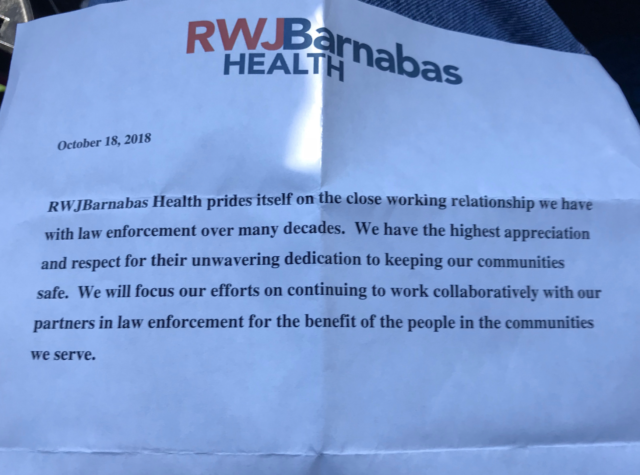 Now in an apparent last ditch effort to save their reputation, RWJBarnabas Health has coordinated a ride-along event with the New Jersey Policemen’s Benevolent Association. 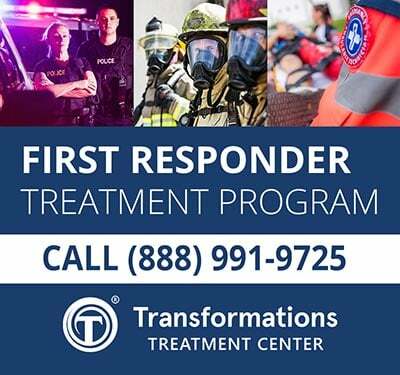 The ride-along is set to take place across New Brunswick, NJ on Saturday, October 20 and will be followed by a press conference. 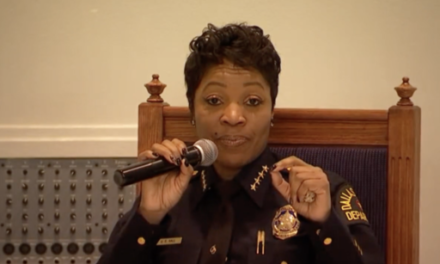 This is very clearly an attempt for the infamous Michellene Davis to show how close of a relationship she and RWJBarnabas have with the law enforcement community. 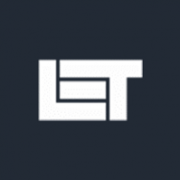 Officers in New Jersey have sent Law Enforcement Today numerous pieces of inside information concerning the event … and the secrecy and political motives behind it. Those officers have requested to remain nameless in an effort to protect themselves and their jobs. 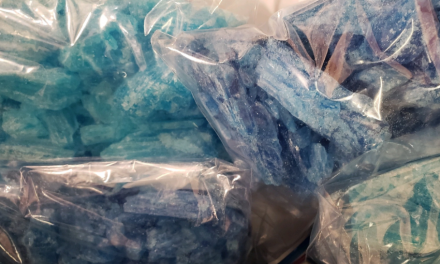 It has been confirmed through the RWJBarnabas Heath Public Relations department that the NJPBA did in fact initiate the ride-along, and not the other way around. 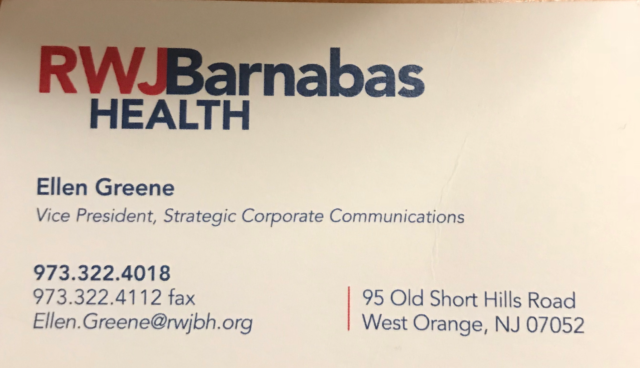 Ellen Greene, a media head for RWJBarnabas, allegedly confirmed the ride-along plan and attempted to leverage the story to the media about the great relationship RWJBarnabas has with local law enforcement. This was the statement she handed to the press. The NJPBA has yet to make any public comment since the beginning of the Davis debacle. 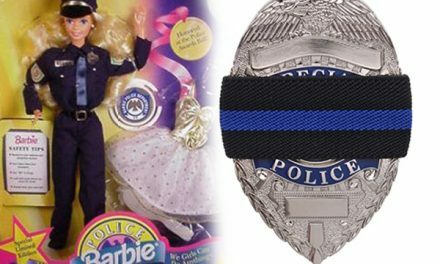 PBA’s Facebook page claims to be the “Voice of NJ Law Enforcement.” Funny… it doesn’t seem as though they’re speaking for anyone but themselves. The NJPBA held a meeting on Monday, October 15 in which President Colligan failed to mention the Brother Before Others educational rally being held outside RWJ Headquarters later in the week. Had he brought it up, there is no doubt that most members of the association would have attended to support their fellow LEOs. Additionally, Colligan made no mention of the upcoming ride-along. Even his fellow board members were in the dark. The RWJ public relations team was outside on Thursday, asking attendees of the educational rally why they were protesting when there was a ride-along planned for the weekend. Multiple local PBA chapter presidents were already upset about being uniformed about the rally. 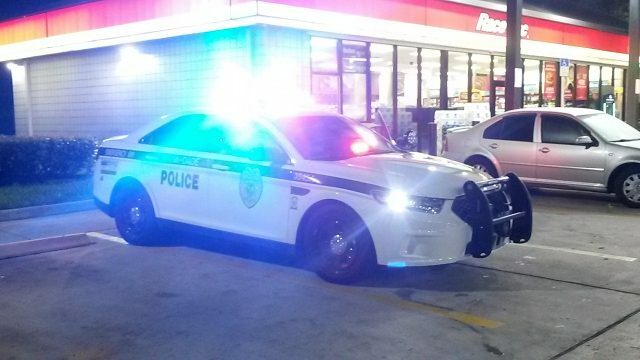 When they heard the news about the ride-along, they expressed outright anger, knowing that their members would never have supported the event. Here’s where it all starts to come unwound. This ride-along is a sham to help paint a picture of how good of a relationship both Ms. Davis and RWJBarnabas have with law enforcement. But if the NJPBA wouldn’t even mention it to their members, that image is far from the truth. What better way to ensure the ride-along and subsequent press conference go smoothly than by being surrounded by friendlies? Now get this. Robert Barchi, the president of Rutgers, sits on the RWJBarnabas Board of Directors. RWJ donated $18 Million to Rutgers in 2017 alone, reported nj.com. The trail goes deeper. 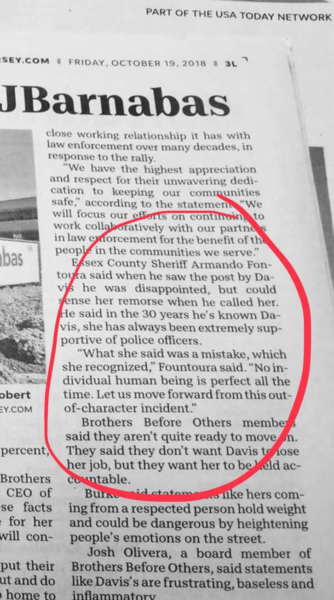 The NorthJersey.com article covering the rally features a quote from Essex County Sheriff Armando Fontoura (an elected position), about Ms. Davis’s “remorse.” Keep in mind Fontoura was not at the rally. Think his campaign might have some contributions coming in from RWJ? Taking a closer look at Fontoura showed that the elected official allegedly double dipped, taking money as a retiree from a pension as well as his annual salary. 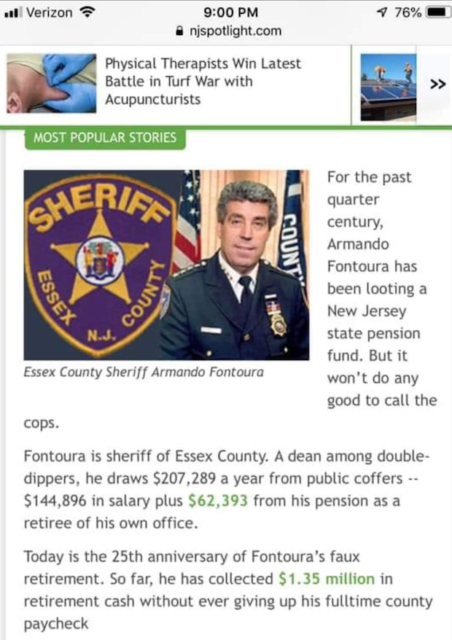 Fontoura comes from a long career at Newark PD. The head of security at RWJBarnabas is a retired Newark lieutenant. Coincidence? You be the judge.